Maybe you’ve been confused, overwhelmed, or unsure of what’s needed to launch your program or product. Imagine how confident, excited, and energized you’ll feel with a plan to make a fantastic and profitable offer to your perfect peeps. 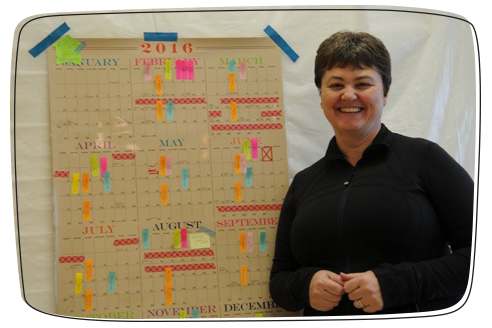 Join me for an intensive, concentrated half-day session to help you have your best year yet. We’ll roll-up our sleeves together and package your next product or program in a way that’s uniquely you and create a do-able launch plan to build buzz and convert to paying customers. The strategies you’ll learn in our VIP session gave me the foundation to break into 6-figures and then to multiple-6 figures. I look forward to sharing my secrets with you. “Before my half-VIP day with Jenn I was overwhelmed with all of the moving pieces. I didn’t even know where to start to try and make sense out of everything. Jenn came with a detailed list that she proceeded to walk me through with her calm and supportive energy. She brainstormed great bonus ideas, showed me helpful examples of the behind the scenes of her own events, and asked really important questions. 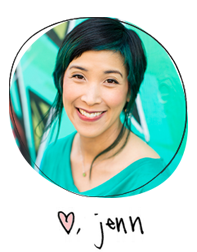 “I hired Jenn to help me create a certification program for The Way of the Happy Woman. Having seen her navigate the world of licensing in her own business, I trusted her fastidious research, attention to detail, and ability to simplify and streamline the potentially complex legal aspects of this undertaking! You’ve been in business at least 2 years. You take your business seriously (while still having fun, of course!). It’s not a hobby and you’re equipped and ready to answer in-depth questions in the application about your business, income, marketing, overall goals, and more. You already have paying customers and a decent following. You want help honing a specific offer so you can leverage your income and serve your community more effectively. You already have a particular idea or project in mind that you want to dive into during our focused session. You’ve been steadily growing your business and have experienced great success already. Now you’re ready to breakthrough to a new level of impact and income and need to tap into the knowledge and expertise of someone more seasoned who can provide hands-on guidance and show you the ropes. You want to be able to pick my brain in more detail and ask advanced questions specifically related to moola-making methods and getting the word out approaches that will fit your unique business. You’re a total business newbie or are unclear about the direction you want to go in. If you’re brand new to business or are still figuring out what your business is, the VIP half-day session is not the format to fit your needs. Instead, the Right-Brain Business Plan® Home Study might be a good option for you to start with. Another option for getting more foundational support is you can work directly with one of our Right-Brain Business Plan® Licensed Facilitators. The financial investment is really too big of a stretch for you (i.e., you can’t pay your rent or mortgage, you’re deep in debt, or you’re in the dark about your financial situation). While investing in yourself and business can help propel you forward, we don’t want you to be putting yourself in a dire position. That’s not good for you and it’s costly admin for us if you cannot make your payments. You’re hoping for a quick fix. An intensive session like this will only be effective if you already have a solid foundation for your business and you’re specifically looking to build from that. If your business has been continually under-performing, the short-term nature of this particular package won’t address the root issues that need tending to. You’re expecting to develop a comprehensive, long-term strategy for your overall business in a short amount of time. Since this session is very focused, it’s better suited to digging into one particular offer and launch. For overall strategy and business model exploration a longer-term individualized VIP coaching package might be more appropriate for your needs. You’re looking to me to provide you with all of the answers or step-by-step solutions. I hate to break it to ya, but there are no cookie cutter approaches. You need to be willing to do the work and make the decisions that will best serve you, your business, and your customers. I’ll provide you with an experienced perspective, suggestions, and insights but you are in the driver’s seat! I can’t wait to receive your application and to have the opportunity to partner together! After you register, you’ll receive a link to the application. These questions are meant to help you reflect on where you business is now, where you want it to go, and what will help get you there and will ask you to really dig deep into your business. The application process alone will be enlightening, I promise! Please be thorough with your answers. Not only will they help me get to know you and your business, but they’ll also help us use our time more efficiently in our session. And, of course, the sooner you send your application in, the sooner we can get started! I’ll personally review your application and will get back to you within 2 business days. If you’re approved you’ll receive information on how to schedule your sessions. If you paid by deposit, my assistant will coordinate with you to finalize the remaining 3 payments before your VIP session is scheduled. If, after reviewing the application, it doesn’t seem like a virtual VIP session will best meet your needs at this time, we will let you know within 2 business days and will refund your payment promptly. We can also explore what support might be better suited to you, so you can make sure you get the guidance you need. There are no refunds for any reason and all payment plans must be paid on time and in full. The exception to this is if your application does not get approved. We hold firmly on the no refund policy because we believe as an entrepreneur you need to be able to make informed, authentic, and clear decisions about where to invest your time, money, and energy and to honor those decisions (and impacts of those decisions) with integrity. So if you need more information to help make the decision, please email your questions to info@artizencoaching.com. This decision to work together is a commitment on both our parts. My team and I put our all into providing the best service for you, so please take full personal responsibility for following through on your part. Thank you! If you still have more questions, please send them to us at info@artizencoaching.com and someone from my team will be in touch. 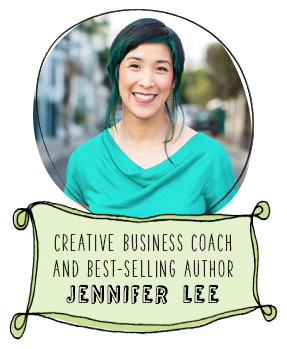 “Jennifer Lee is a master at 1:1 sessions. Her ability to help me get razor sharp on where to focus my time and energy has helped me (and my bottom line) over and over again. Recently I decided to revamp my yoga teacher training. With Jennifer’s help I was able to create a whole new format for my training, develop a new pricing structure that helped cash flow and create a wonderful incentive that encouraged early registration. Plus she was instrumental in helping me in writing and designing a love letter (aka sales page) that spoke beautifully to the students I wanted to attract. I’ve gone from coaching part-time while holding down a demanding day job (because I was too afraid to leave), to finally taking the leap yet struggling to come close to my cushy corporate salary, to building a business that has reached multi-6-figures and eventually learning to define my own version of success. “My business is growing and I needed to talk to someone who was ‘ahead of me,’ who also understood my niche. Jenn assessed my systems and practices and helped me refine my structures for Artist Strong. After our conversation I feel crystal clear on my offerings and my strategies on providing value to my community. I’m happy to say that after our discussion I had over 300 people sign up for the challenge I built with Jenn’s help. Additionally, I had nearly triple the sign ups (I went from 7 to 18) for my newly refined signature program. I feel more confident in my work and service to the Artist Strong community, and Jenn was a factor in all of this. Invest in yourself and your business! Your VIP Session will be the gift that keeps on giving. 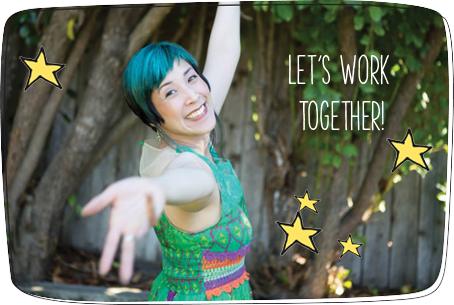 I can’t wait for the opportunity to dive-in deeply with you in this hands-on, “done-with-you” style session. We’ll roll-up our sleeves together and come up with an inspiring and do-able plan to launch your next offer. Just think how relieved you’ll feel knowing that you have your plan for the rest of the year! And by the way, the skills and processes you’ll learn by investing in our intensive session will give you the experience and tools to be able repeat your own launch plans again and again. Hey, it’s the gift that keeps on giving.